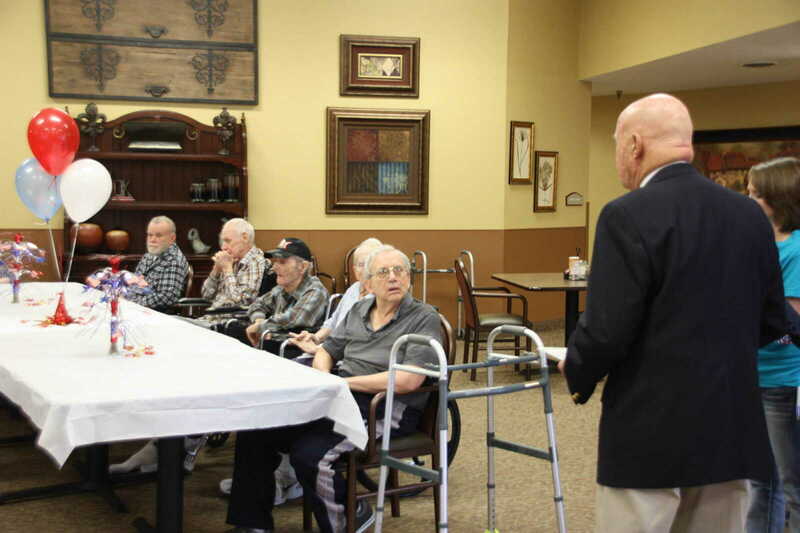 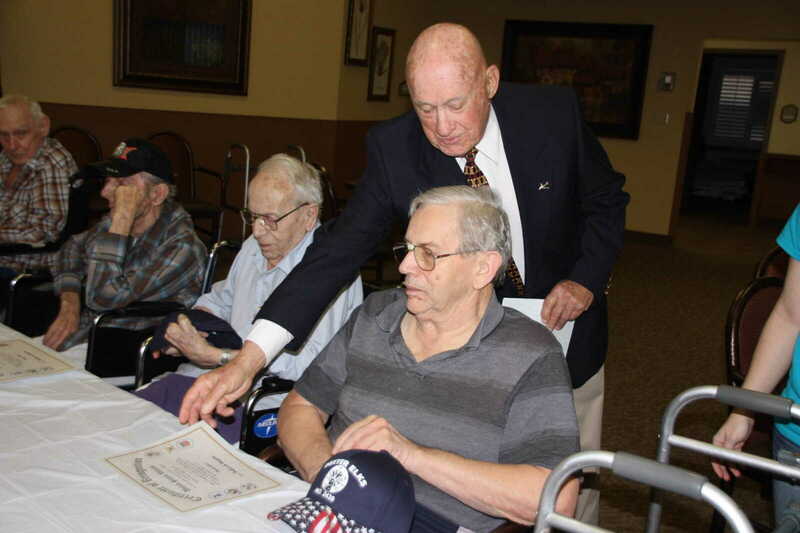 U.S. veterans who are residents at Crowley Ridge Care Center in Dexter were honored during a special gathering Monday morning, a day before Veterans Day due to prior commitments of Mayor Joe Weber, who was on hand. 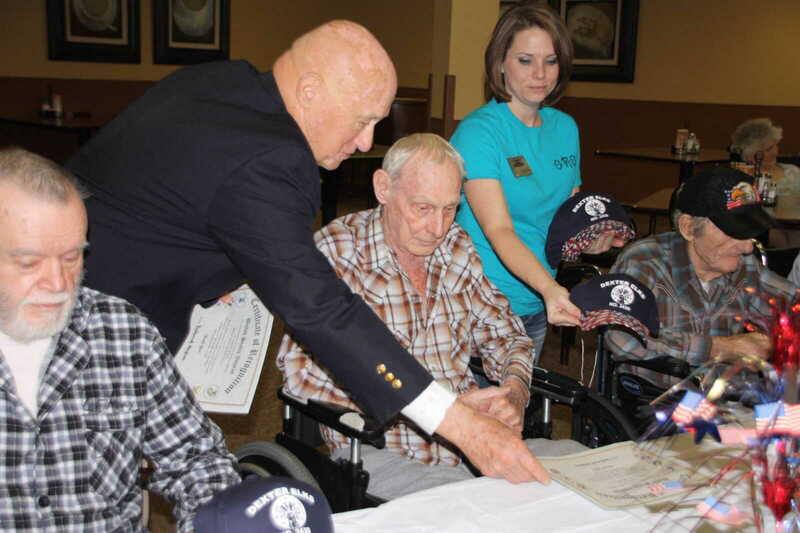 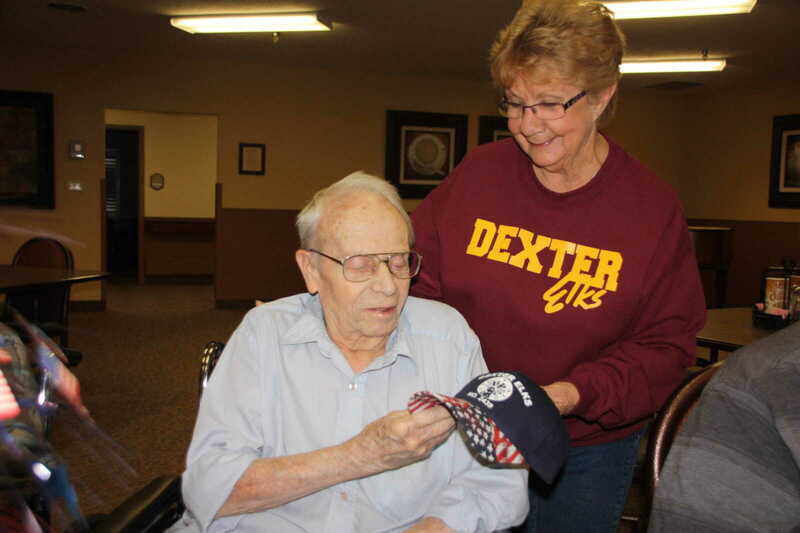 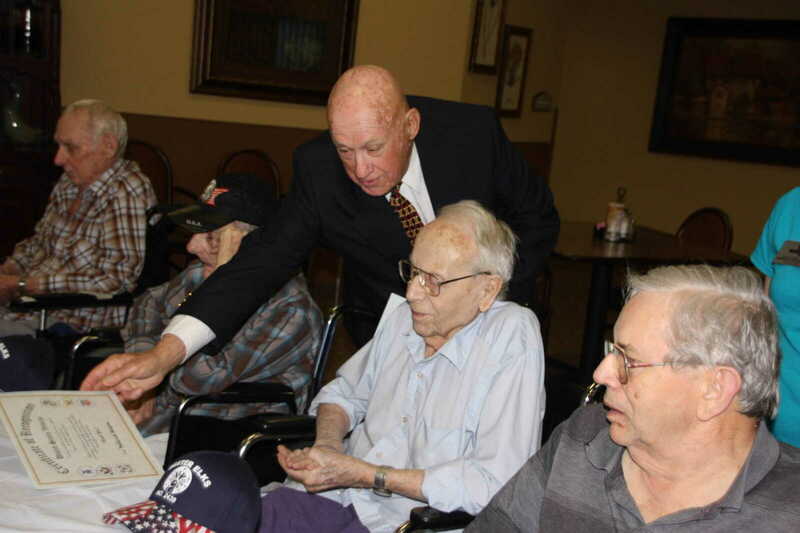 Weber, A Korean War veteran himself, honored each of resident veterans with a certificate of appreciation, and each veteran was presented a patriotic cap from Shirley Alexander, who heads up the Veterans Committee for Elks Lodge #2439. 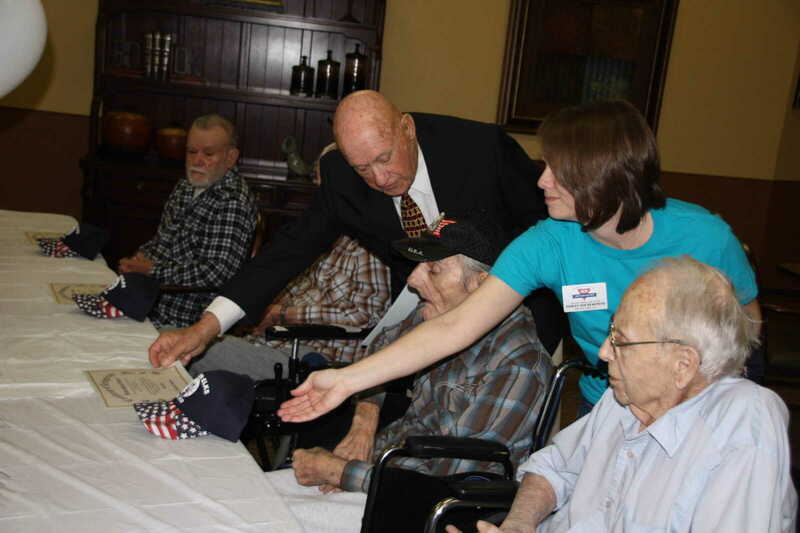 Also on hand were employees of Preferred Hospice, who assisted with the special ceremony. 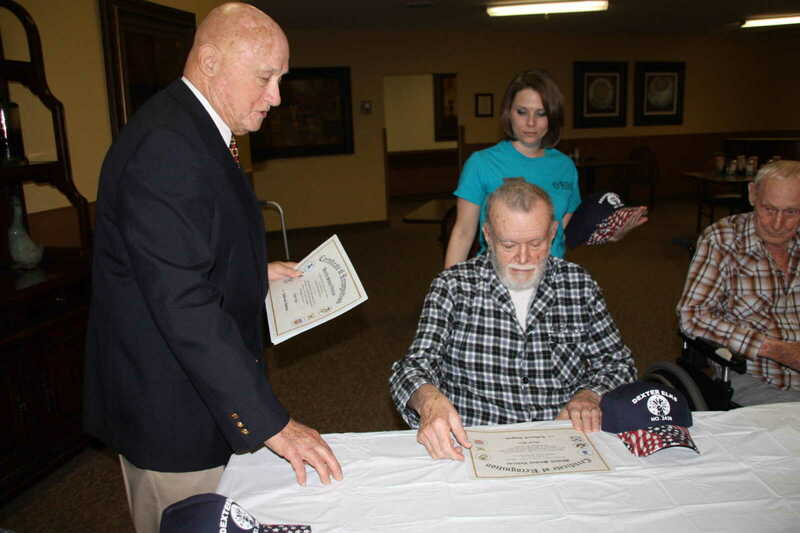 Those honored included Bob Northcutt, Franklin LeMay, Joseph Scott, Charles Farmer, Chuck Asberry, and Clarence Davidson. 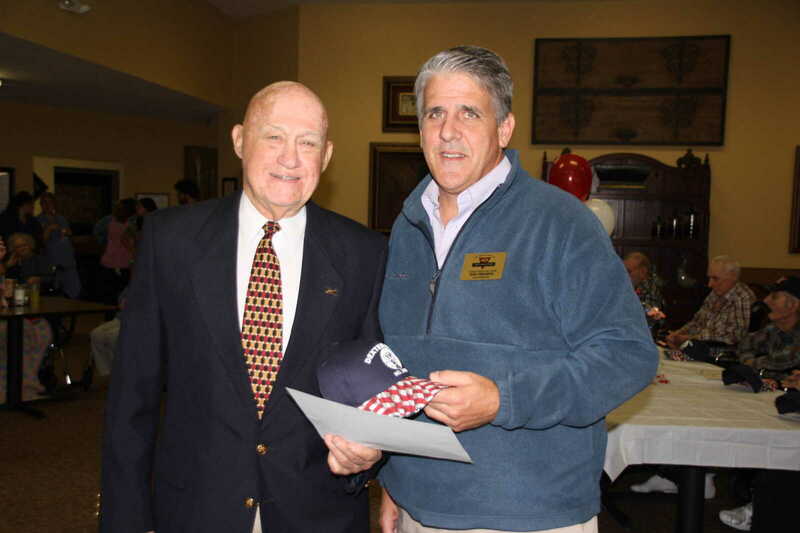 Also honored was the center's administrator, Bob Thrower.